The parade ring at Royal Ascot. 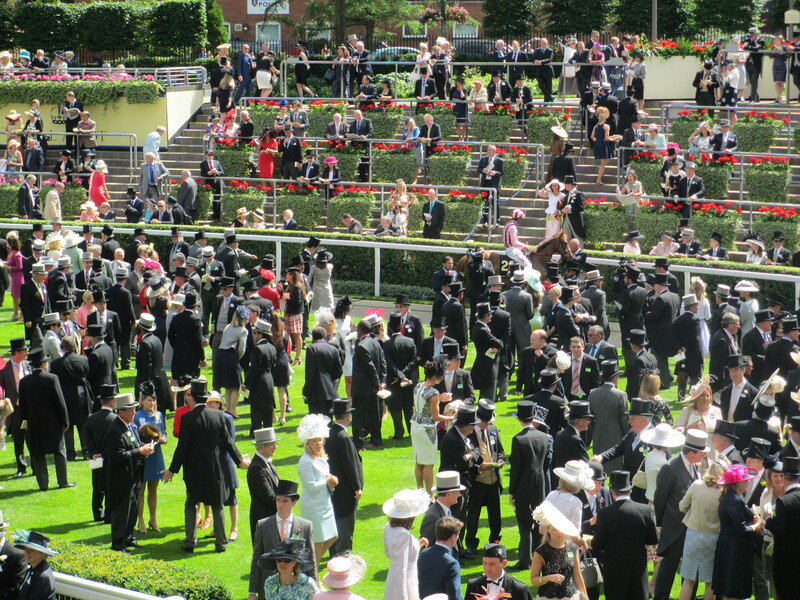 Royal Ascot takes centre stage in world horse racing where many of the best thoroughbreds on the planet contest some of horse racing’s biggest prizes. The Royal meeting combines five days of high-quality racing and glamour, which is staged at the Berkshire racecourse from Tuesday June 16 to Saturday June 20. The final fields have not been decided at the time of writing,but while trainers put the finishing touches on their potential Ascot runners, London24 horse racing has some early tips. Buratino was far too good for his rivals when storming to a six-length success in a six furlong Listed race on Derby Day to secure his third win in five runs. At his previous start he had finished second to the smart King Of Rooks over five furlongs at Sandown and trainer Mark Johnston is now eyeing the Coventry Stakes over six. Western Hymn: (Prince Of Wales’s Stakes) Western Hymn, sixth to Australia in the 2014 Investec Derby, impressed with the manner of his last start win in the Group 3 Cantor Fitzgerald Brigadier Gerard Stakes at Sandown in May. The win was his third Group 3 victory over course and distance at Sandown and he showed plenty of fight to prevail by a head. He is fancied each way for the Prince Of Wales’s Stakes as long as the ground is not too firm. King Of Rooks looked mighty impressive when winning a Listed race at Sandown at his most recent start. He finished five lengths ahead of runner-up Buratino who has since franked the form by winning at Epsom on Derby Day. Vent De Force’s price for the Ascot Gold Cup was slashed after an impressive win in the Group 3 Cantor Fitzgerald Investment Trusts Henry II Stakes last month. The winner led all the way under Richard Hughes in the extended two miles contest and looks as if he should stay the two and a half miles of the Gold Cup. “It was Richard Hughes decision to lead. It is nice to see that you can ride him wherever you like. That should hopefully put him spot on [for Royal Ascot],” trainer Hughie Morrison said. Punters need look no further that Telescope who bagged his fifth career success when winning the £100,000 Listed Al Rayyan Stakes by six lengths at Newbury at his last start. The success continued the ultra-consistent five-year-olds dependable form that has seen him finish in the first three in 12 of his 13 starts and secure £760,000 in prize money. Telescope, a son of the 2001 Derby winner Galileo, was a seven-length winner of the Hardwicke Stakes at Royal Ascot in 2014. He was an impressive winner at Newbury in May and is fancied to secure back to back victories in the Harwicke.